Porto Airport is new, modern and air conditioned which must be a real bonus in the very hot Portuguese summer. As you step out of the plane all the building glass as a green tint, but when you get inside it is crystal clear. I would strongly recommend you try to use TAP Portugal's National Airline rather than Easyjet or Ryanair. You start to experience Portugal as soon as you take off. You get a snack on your flight and a local Portuguese wine or beer. They use modern Airbus aircraft. 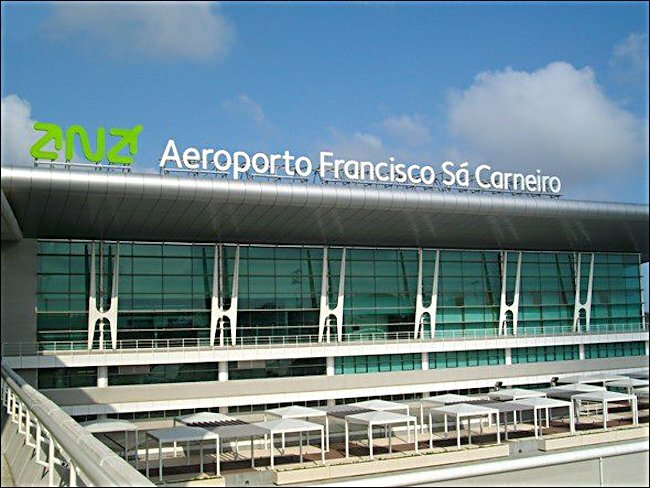 Porto's airport is called Francisco Sa Carneiro Airport. It is 11 kilometers to the north of Porto. Its address is Rua da Estacao, Moreira Maia, Porto, Portugal. It is Portugal's second busiest commercial airport. Buy a PORTOCARD at the airport. As you go into the baggage reclaim hall look for the Information Desk. Whilst you are waiting for your bags to appear on the conveyor belt go and by a PORTOCARD. The staff behind the desk speak English. There is a cheap one that gives you free entry to a number of tourist museums, discounts on tours, river cruises, the cable car, wine and port tasting, restaurant and shop purchases. For a few Euros extra the more expensive card covers gives your free rides on the public transport system (not the Ancient Old tram system). It is better to go for the slightly more expensive one. You can buy a one day, two day or three day card. 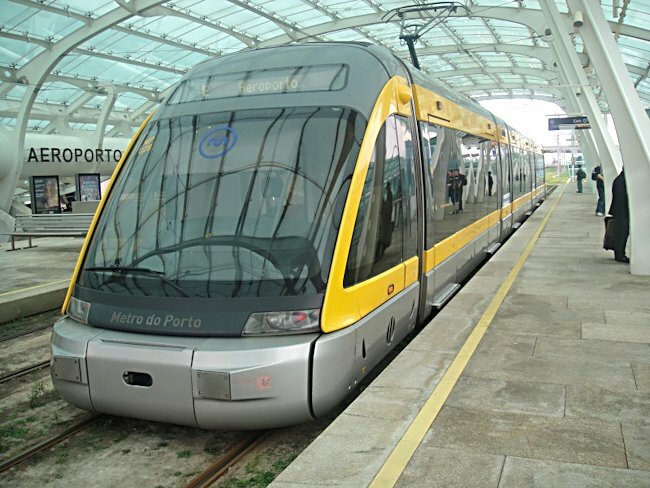 It will give you free transport on the metro into the city centre from Porto Airport and back again. 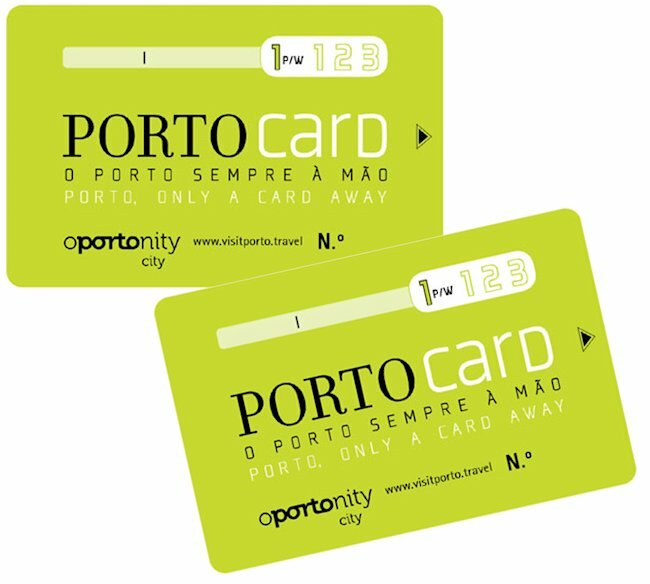 If you are in Porto for a long weekend and your flight arrives in the afternoon, you can ask the Information desk staff to make your Portocard start from 10am the next day so you get three full days use out of the card. The staff will give you a leaflet that shows what museums and retails are included in the scheme. The metro single ticket into Porto from the airport is really cheap so just pay for that separately if you have landed later in the day. After you leave custom's and enter the main airport go to the tourist office in the airport. Here you can pick up free maps of Porto and the Metro and tram system. You can also buy your single metro ticket. Again they all speak English. It only takes 35 minutes on the Metro train to arrive at the central Porto railway station called "Trinidad" from the Porto Airport. The Metro trains are not very long and get crowded f a couple of planes have just landed. Taking the metro is the cheapest and quickest way to travel into the city. DANGER - to save getting an on the spot fine from a ticket inspector you MUST tap your ticket on the yellow ticket validation post on the platform. They are NOT on the train. It is not a defence to say you are a tourist and did not know the procedure. You may end up getting arrested. The carriages are air conditioned to keep you cool. I found it hard to see the name of each railway station we stopped out by looking out of the window. The signs were small and there were only a few of them. Inside the train there is a digital sign which shows the next station. If you cannot see it, look behind you as it may be above your head as I found out much to my embarrassment. Have a look at the metro map and find the colour of the train line you want to use. Each coloured line is given a letter. Remember that letter, then look at the name of the station at the end of the line. All signs use the line colour, letter and end station to identify the correct platform you want. The incoming train will also have the name of the last station it is travelling to on the front and on the door. To open the train door touch the centre of the yellow disk. The Metro is still the best way to travel into the centre of Portugal but if you need to go to an out of the way location then there are always ranks of Taxi cabs waiting to take your money. They are not as expensive compared to capital cities like London. They are available 24 hours a day from outside the exit door at Arrivals. Always ask how much the journey will cost before you get in the Taxi and check you have the right amount of cash to cover the fare. There is a 20% surcharge added to the fare at weekends, public holidays and at night from 21.00hrs to 06.00hrs. There are two major shuttle bus companies that run scheduled services to Porto city centre: Goin'Porto and Airport Shuttle. You must be at the bus stop 15 minutes early in order to have enough time to load your your cases along with the other passengers and buy a ticket. Unlike the Metro the city of Porto rush hour and traffic jams effect the time it takes to get into the city. In the early morning and late evening it only takes 30 minutes. During the working day it can take from 45 minutes to an hour to do the same journey. You can find their bus stops outside the Arrivals hall main doors. Another cheaper option is to take a public bus into the city centre. They will make regular stops along the way to pick up and drop off passengers. Buses 3M, 601 602 all leave from the Airport. The 3M bus stops at the Avenue Aliados and the Trindade train station in Porto. The 601 and the 602 bus goes to Cordoaria, The University on Rua do Dr Ferreira da Silva opposite the pretty Praca de Lisboa. Do not use the 604 bus that leaves the airport, as it just goes to the north eastern suburbs and not Porto centre. There are a number of car hire companies at Porto Francisco Sa Carneiro Airport. The Car Rental desks can be found on the in the Arrivals hall on the ground level. The major companies include Avis, Budget, Europcar, Hertz, Sixt, Guerin and Auto Jardim.